How do the world’s consistent top performers regularly win in an irregular world? They use proven strategies to maximize their experience, build key skills, and tap essential resources. 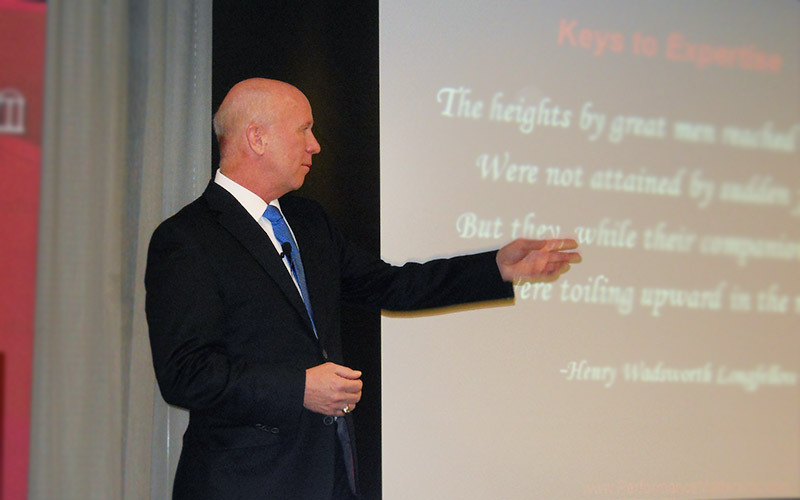 Performance coach Dr. Paul Schempp knows the secrets of Super-Achievers, and you will too. Blending contemporary research and industry examples, Schempp identifies the strategies and principles that top performers use to achieve more in less time, with fewer resources while getting greater results. This stimulating life-changing presentation is perfect for organizations and individuals looking to not only succeed, but lead their industry. Uncover which information sources will boost your performance. Analyze situations to find the critical factors driving performance. Create daily routines that minimize distractions, save time and allow you to focus on your most important work. Apply the “Five Strategies of Innovative Thinking” to develop new products, discover fresh perspectives, and create pioneering programs.